"Pillai began with Kodaly's astonishing Viola transcription of Bach's Chromatic Fantasy played with Bravura and emotional intensity... glorious viola tone"
"An impassioned rendering....splendidly partnered by violist Ashan Pillai"
"He pushes the limits of expression in this work and medium"
"A sound of contralto beauty.....a fine impression"
"Pillai began with Kodaly´s astonishing Viola transcription of Bach´s Chromatic Fantasy played with a combination of bravura and emotional intensity which drew a truly justified response from the audience..glorious viola tone"
"They do well to probe so deeply into this elusive, oblique musi"
"A fresh, young, brilliant professional"
"A player to watch for..."
"A radiant display of youthful talent... he played with minute control and imaginative projection"
Most composers are	Most composers are	lucky if their rrorks	receive a handfrrl of	recordings. Thanks	to Naxos, the music of Leonardo Balada	is more than generously preserved, from	chamber pieces to operas. The focus on	the newest disc of Balada creations is	music for winds, brass and percussion,	with concenos for piano, cello and viola	prominendy featured - and experdy played by the Carnegie Mellon 141nd	Ensemble. @alada has been a faculty	member at Carnegie Mellon University in Pittsburgh since 1970.) The repertoire	represents the Spanish-born American composer in many phases of his career, from electronic and avant-garde sources	to neo-classicd inclinations. The elecrronic element is a subde inspkation in Cumbres ('Heights'), a l97l	'Shon Smphony for Band'in which clusters play a large role. Balada has a gift	for instrumental layering and chatter, and	he takes the players to extremes of range	and dynamics with almost gidd;r modernist	delight. He is in a playful mood in the	Concerto for piano, winds and percussion	(1973), whose soloist - here the crisp, expressive Enrique GraF- enters into	animated and Chopin-like dreamv conversation with his colleagues. The earliestwork, the Concerto for cello and nine plavers (!962, rev 1967), embraces	the solo instrument's profound character while also taking into account its nimble	possibilities. Four decades later, the Viola	Concerto (2009-10) places soloist and ensemble in a cavalcade of vibrant	interactions. David Premo and Ashan Pillai, respectively, do the solo honours in these work. "The Kalliwoda is a treasure and Pillai's performance exemplary"
"A young virtuoso of high calibre"
"You cannot fault the playing......a lot of style and assurance"
"The Violin Concerto is a much later work and here it receives its world premiere recording, with the challenging solo	part brilliantly played by Ashan Pillai. All of this music is challenging for listeners as well as musicians, presented to perfection here. An important issue. Thank you once again, Naxos! © 2015 ClassicalCDReview.com Read complete review"
"The Spanish-American composer is fortunate to have a record label acting as an unstinting champion of his vast range of music	from opera to solo piano works. However…this new release…concentrates on a particular part of Balada’s career when he	encountered experimental electronic music in New York in the early 1960’s. I suppose his message was ‘anything you can do with	synthesizers, I can do with conventional musical instruments’. The result, to say the least, is fascinating, as if robots had been	given a living heart. Cumbres, written in 1971 for wind band, brings free flowing sounds interacting with chugging staccato chords	that propel the music forward with considerable virtuosity. The mood continues in the Piano Concerto from 1973, the keyboard	and orchestra, to quote the composer, ‘more often than not at odds’. The soloist is almost in perpetual motion, the element of	electronic influence adding a thumping bass accompaniment, though the keyboard role, with its spiky brilliance, has its roots in	early 20th century French music, and is ideal for the dexterity of the American pianist, Enrique Graf. The Cello Concerto, originally completed in 1962, is in a three-movement structure when the composer was closely associated with Stravinsky’s neo-classical period, the cello part, for much of the work, being part of the general texture. By the time of the Sonata in 1979, the electronic	period had initiated Balada’s experiments in related sound textures, the only work from the present century coming with Ashan	Pillai’s brilliant account of the short one-movement Viola concerto completed in 2010, by which time Balada had returned to a	modern tonality. The remarkably gifted musicians from the Carnegie Mellon University play this extremely demanding music with	total confidence and enviable commitment, the 2010–11 recordings being of excellent quality. © 2015 David’s Review Corner"
"Enfin, on decerneva une mention speciale a l´altiste Ashan Pillai, tout a fait exceptionnel"
"Il restitue cette musique avec gout"
"Pillai Instrumentalfuhrung die zauberhaften Piècen mit naturlicher Grazie an den Horer"
"Beautiful sound, phrasing and effortless technical command"
"El comienzo de la sonata Árpeggione es suficiente para comprender que todo habrá de escucharse con sobrada de calidad y matices multicolores. Suena Schubert en manos de aquellos capaces de tan emocionante declaración de principios"
"Ashan Pillai, treu la màxima expressivitat del seu instrument en aquesta sonata de Schubert". 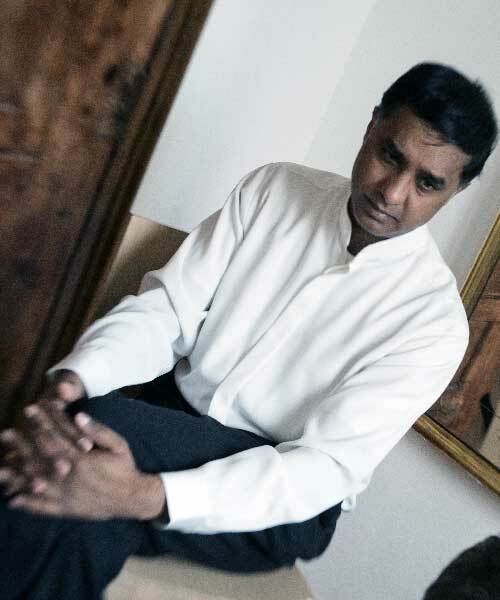 "... i com a més destacable, a part de la belleza del particular mon de Sibelius , l'excellent aportacio del solista de viola, Ashan Pillai, una de les joies de l"OBC""
"Ashan Pillai, que va abocar amb transparència i bellesa colorísitica les suggestions descriptives de les dues obres (Harold en Itàlia i Don quixote)"
"Harold en Italia tuvo el intrépido viola Ashan Pillai, quien dio muestra sobrada de una excelente preparación y buen gusto interpretativo ... vivió la aventura las más veces como héroe en solitario"
"Un so preciós i homogeni i una particular elegancia posada ben relleu a la Sonata Arpeggione... Pillai va resoldre de forma esplèndida"
"...al intrépido viola, Ashan Pillai, quien dio muestra sobrada de una excelente preparación y buen gusto interpretativo"
"En este disco tocan con mucho refinamiento, destacando sobre todo la viola de Ashan Pillai en el trío y la Sonata Fantasía... una combinación deliciosa"
"Ashan Pillai poseyó la obra con autoridad... y la calidez rítmica de la viola adecuadísima al caso"